NooElec has just released their new "SAWbird" GOES LNA for sale. This is an LNA and filter combination designed to help receive GOES weather satellite images. On the PCB is a 1688 MHz SAW filter and a low noise amplifier. It can be powered with 3V - 5.5V connected directly or via bias tee. The SAWbird is currently available on Amazon and their store for US$34.95. They also have a version for Inmarsat and Iridium, so make sure you choose the correct one. GOES 15/16/17 are geosynchronous weather satellites that beam high resolution weather images and data. 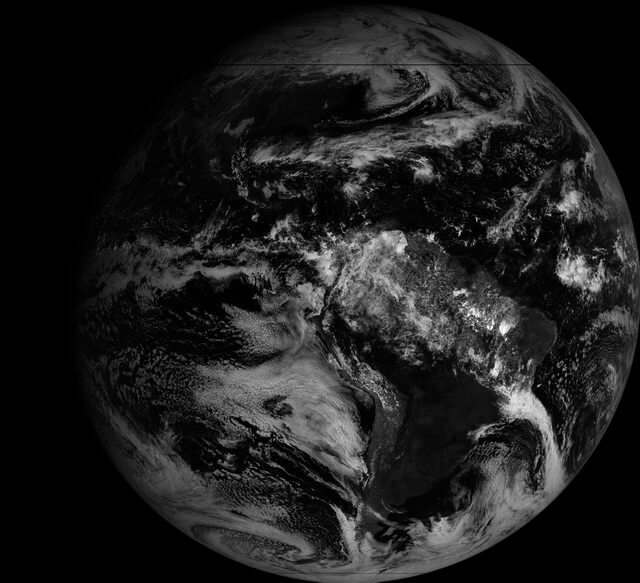 In particular they send beautiful 'full disk' images which show one side of the entire earth. As GOES satellites are in a geosynchronous orbit, the satellite is in the same position in the sky all the time, so no tracking hardware is required and images can be constantly pulled down throughout the day without having to wait for a satellite to pass over. However, compared to the more familiar and easier to receive low earth orbit satellites such as NOAA APT and Meteor M2 LRPT, geosynchronous satellites like GOES are quite a bit further away, and transmit at 1.7 GHz. So to receive the signal you'll need a dish antenna that you can accurately point, a good low noise figure LNA and possibly a filter. So setting up a receiver is a bit more difficult when compared to receivers for NOAA and Meteor satellites. The SAWbird should help however, by providing a ready to use LNA+Filter combination. Over the past few months several testers have already received engineering samples of the SAWbird and have been successful at receiving GOES images. From the results of several experimenters, it appears to be possible to use a cheap 2.4 GHz WiFi grid antenna with some minor modifications as a GOES satellite antenna. Get one with at least a one meter long width and bend the feed as described here or here to tune reception for the 1.7 GHz GOES frequency. Pieter Noordhuis has also shown that it's possible to use an RTL-SDR to receive GOES images, so an entire GOES system can be built on a budget. NooElec SAWbird LNA + Filter for GOES reception. 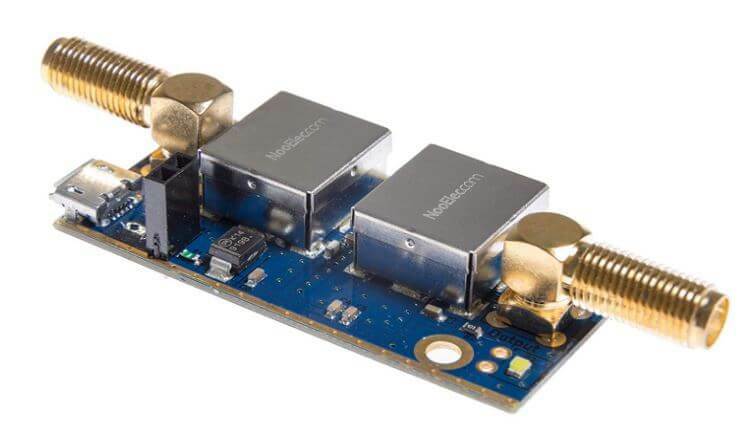 Does anyone know whether Noolec produce a 1420Mhz version of their Saw filter /preamp fir hydrogen line radio astronomy? I don’t see one online but they are quite responsive if you go to their website.